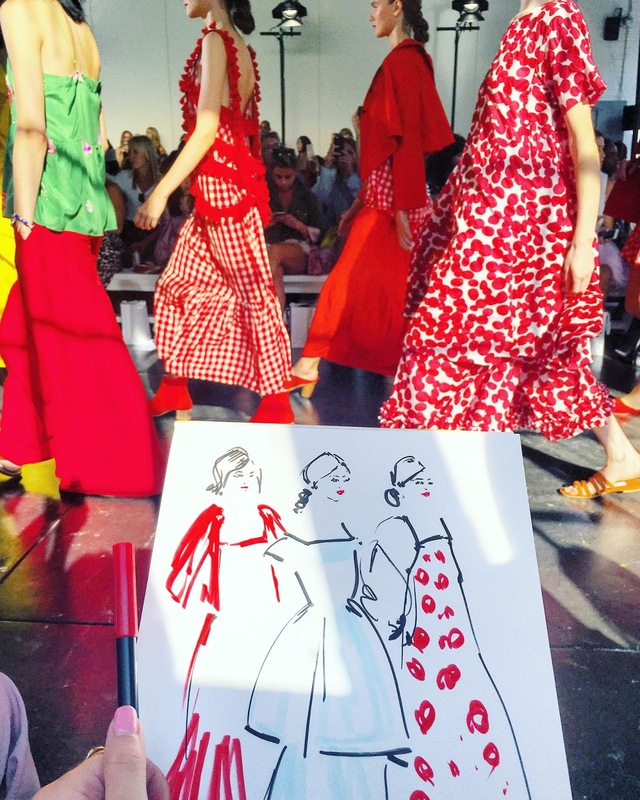 Travel Write Draw: NYFW September 2016 Roundup!! The first show I attended this season (actually the last three seasons for that matter) was Creatures of Comfort. 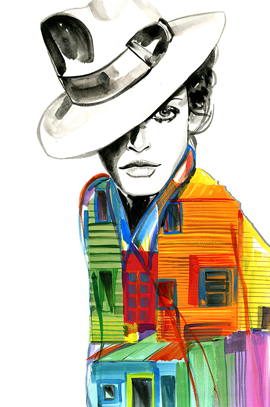 I drew live from the runway and was so enchanted with their prints and colorblocking. 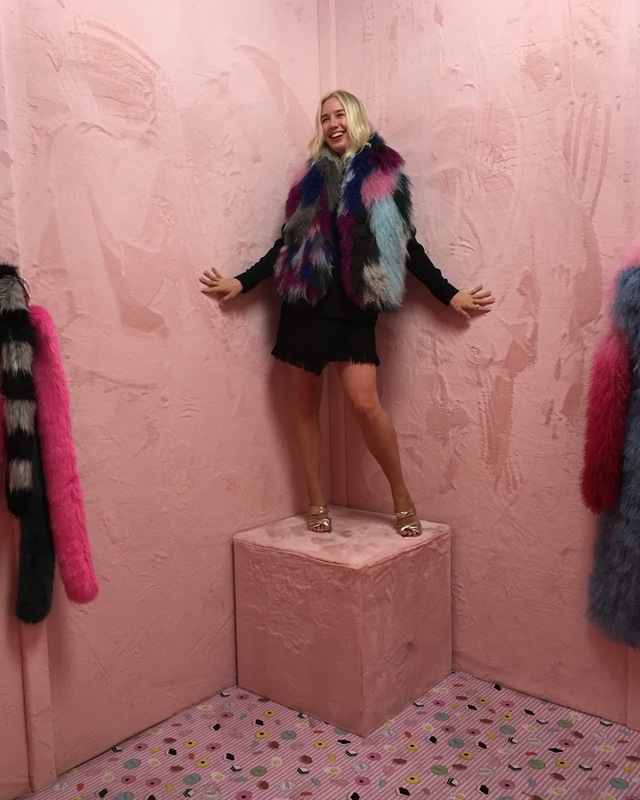 Then I partnered with Refinery 29 to promote Papyrus' room in the 29Rooms Fashion Art Funhouse in Bushwick, Brooklyn. This was my first time attending 29Rooms so I went utterly bananas taking selfies in all the cool spaces. 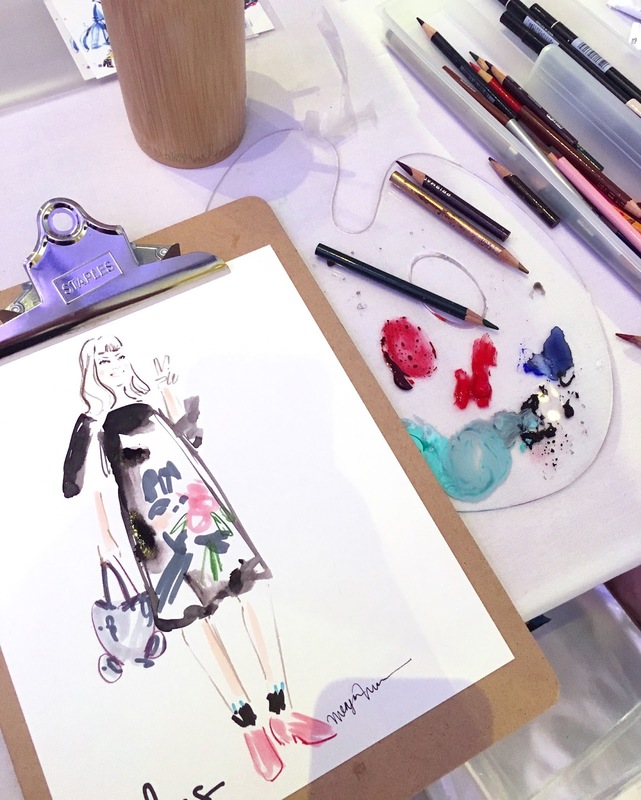 I finished the week with a drawing marathon at Lulu's Blogger Style Studio NYFW event with my friend Brooke Hagel. I got to draw this cool chic below in her Tokyo-esque street-style look. 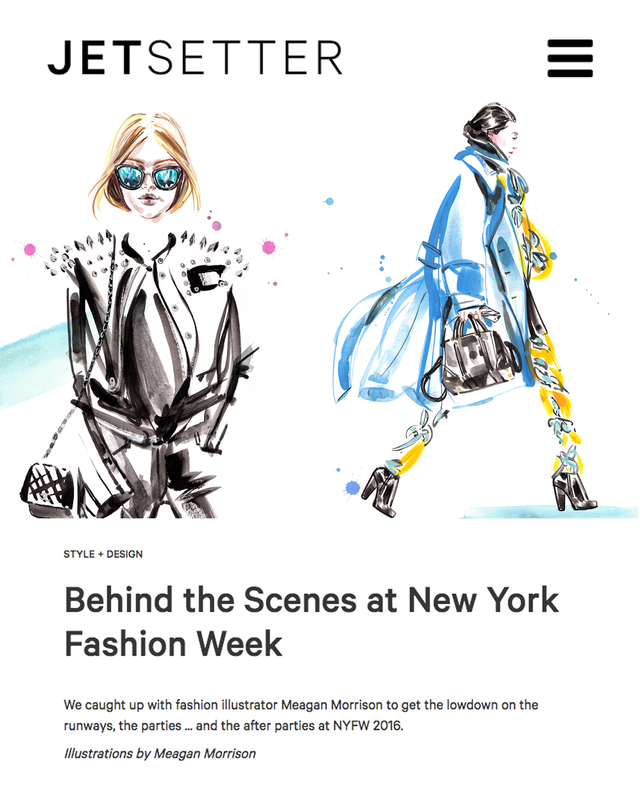 Somewhere in the midst of it all, I managed to do an interview with Jetsetter.com, giving a candid insider's perspective of what NYFW is really like for a fashion illustrator. 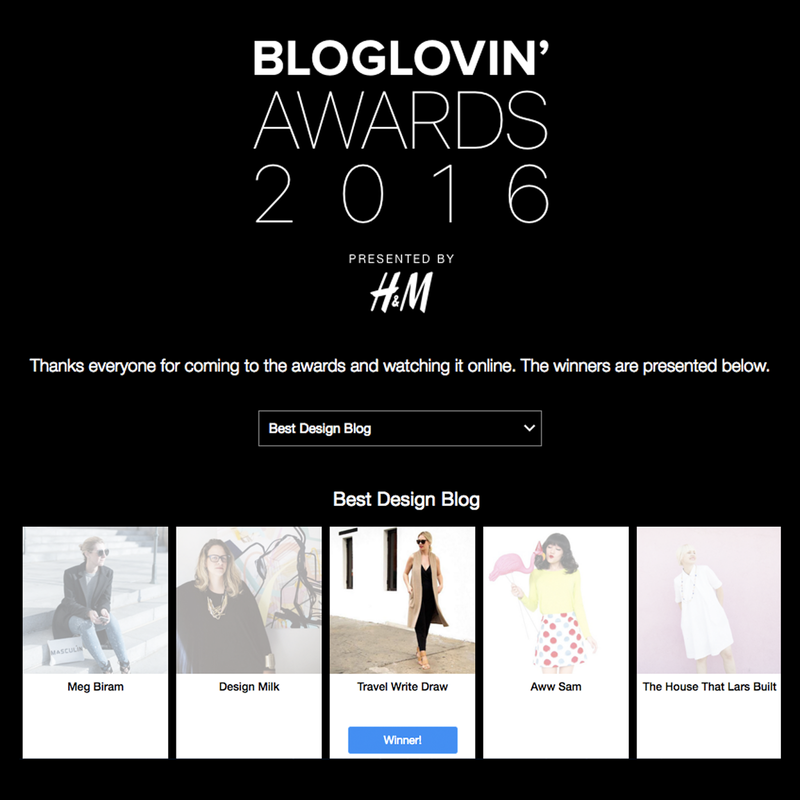 And THEN it was finally time for the 2016 Bloglovin H&M Awards, where I was nominated for Best Design Blog, and I WON!!!!! 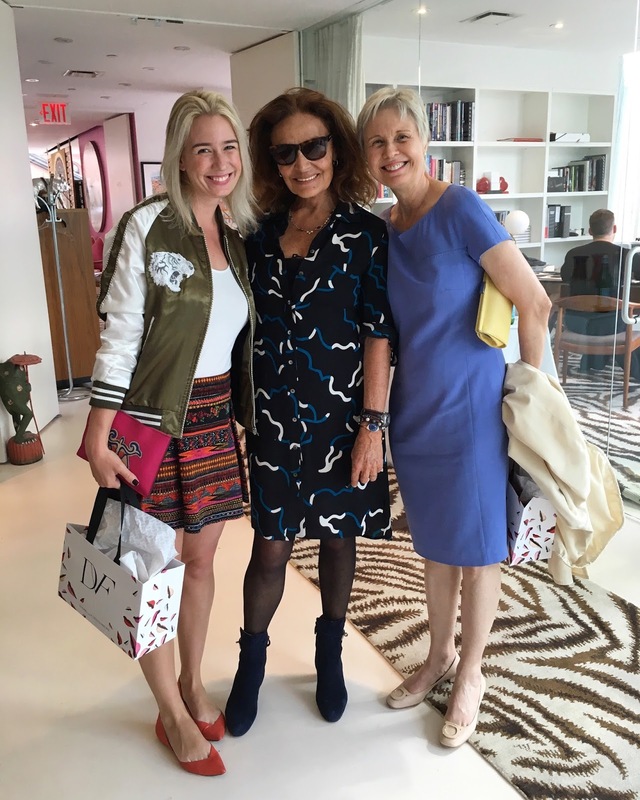 As if the week couldn't get any better, I finished it off spending two days with the DVF team and my Mom, who flew in from Toronto for the special experience. 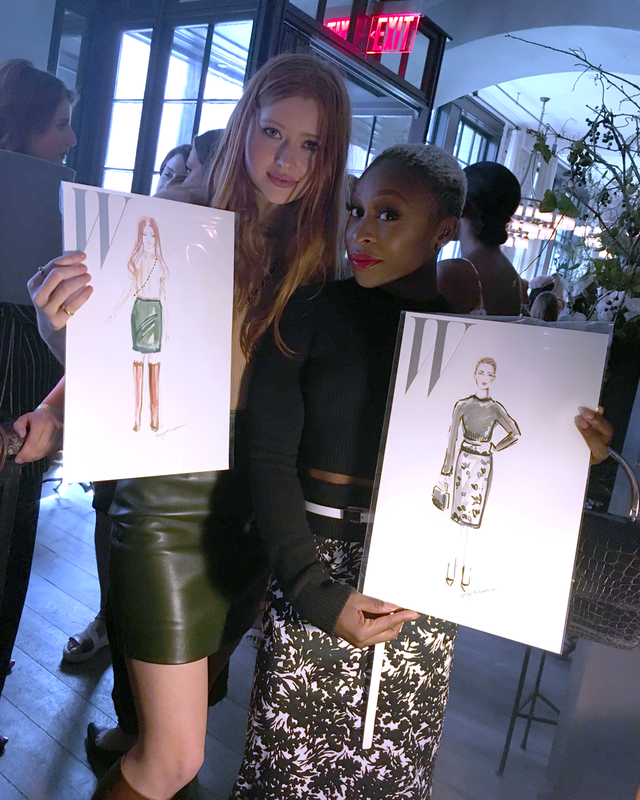 We got to watch an exclusive fashion show of the Fall 2016 collection, get fitted for a custom wrap dress, and eat breakfast with Diane in her office. TOTALLY SURREAL. Just look at this photo of my Mom and I with Diane. We are her two blonde bookends. 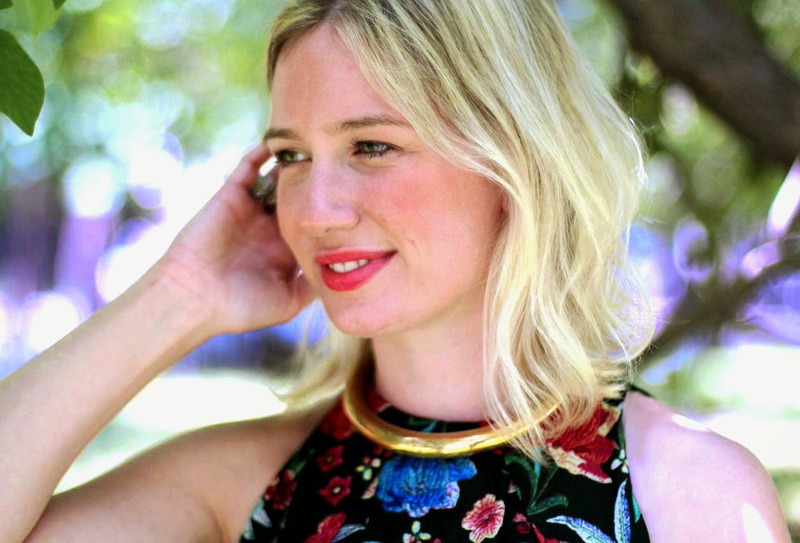 It's such an exciting time for their brand with their new Creative Director Jonathan Saunders taking the lead. Below is my illustration of one of their new SS17 looks. 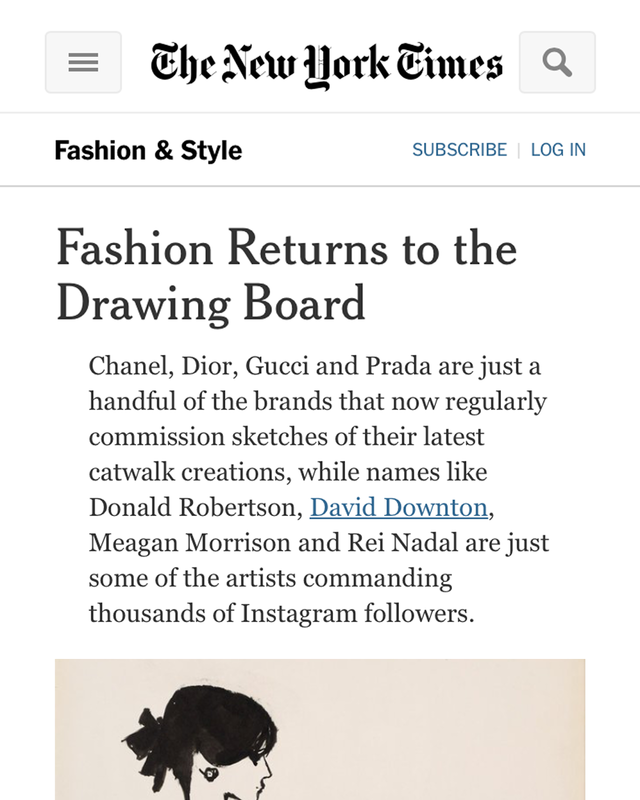 To finish off the season, I somehow got cited in a New York Times Article on the revival of fashion illustration. You can imagine how bloody ecstatic I was receiving a google alert, notifying me that I was mentioned in the NYTIMES!! 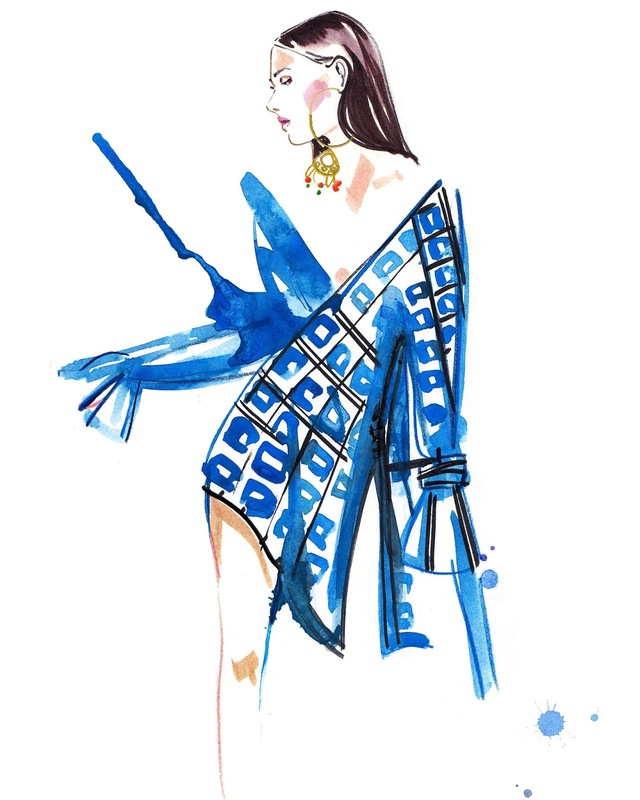 The article is a great read, by the way, for anyone interested in fashion illustration and where it's headed. So that about sums up my NYFW this season!! 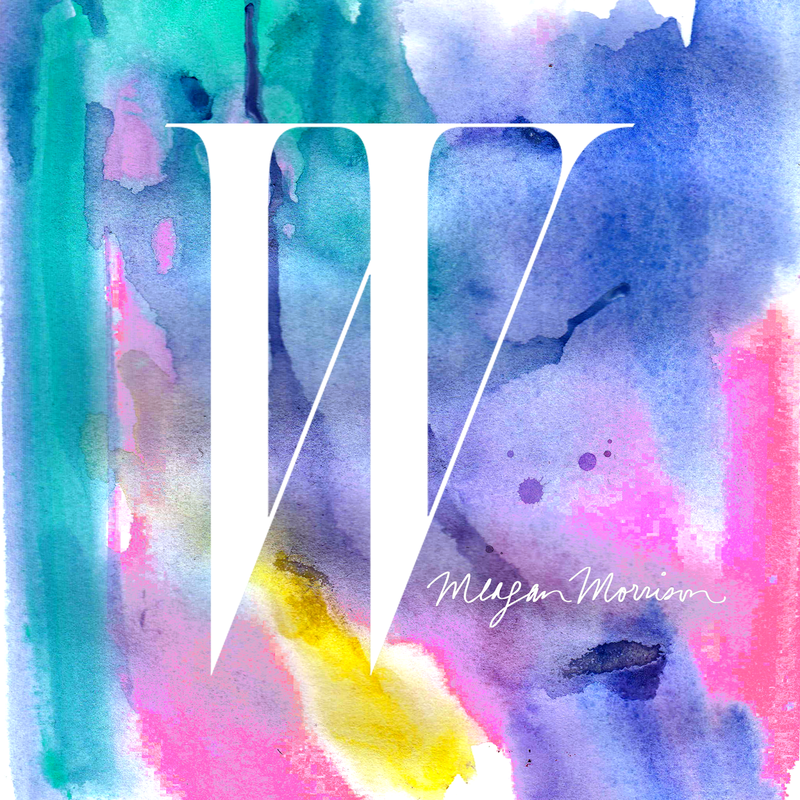 I'm so excited for my new partnership that begins tomorrow. I'll be sharing that in the next post so stay tuned. What an exciting time you had! I'm breathless just reading about it all! Congrats on your NYT mention - wow! Happy for you. Nice shoes ladies. You look great. NYTimes.... the raise is definitely well deserved.